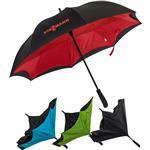 Inverted Umbrellas are all the rage and for good reason! Revolutionary design. Inverted design closes away from you. Super simple to get in and out of your car without getting wet. 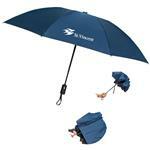 Double canopy umbrella. Straight rubber grip handle. 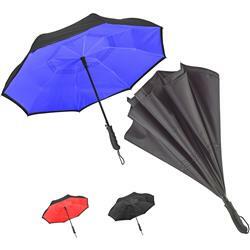 Available in Black, Red, and Royal Blue. 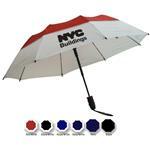 We love these umbrellas! Typical Imprint Area(s): 9"x 5"